Throughout 2018, observers speculated widely about Canada’s forthcoming legal cannabis market. We can finally replace some of that speculation with hard numbers, thanks to federal and provincial sales data released last week. The results highlight what consumers want from the legal market. Those preferences in turn can guide industry and government efforts to support that market’s success. For starters, recreational cannabis shoppers strongly prefer dry cannabis products (i.e., flowers and leaves) over cannabis oils. Health Canada data show November’s nationwide sales mix at 73 per cent dry and 27 per cent oil, measured by weight. In their quarterly sales reports, the New Brunswick and Quebec cannabis agencies both reported even stronger dry proportions of 90 per cent. 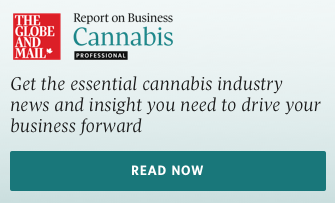 That contrasts sharply with the needs of medical cannabis clients. Dry products accounted for just 39 per cent of November’s medical sales, versus 61 per cent for oils. This distinction between medical and recreational preferences could help producers balance their production flows. But it also complicates their product design and marketing. Recreational consumers also prefer small purchases, relative to the 30-gram possession limit. Quebec’s mostly in-store transactions averaged just 6.6 g at $47 each. Ontario’s transaction counts, when compared with Statistics Canada sales data, suggest that province’s all-online orders were larger. They apparently averaged around $70 in October and $100 in November. Those numbers could reflect customers sampling small amounts before considering larger buys. That’s not surprising for a new retail segment. Experienced users might have sought legal replacements for their existing illegal favourites. Meanwhile, first-timers explored this newly legal world. Customers’ also showed strong preference for in-store purchases. Brick-and-mortar shops accounted for 80 per cent of Quebec’s cannabis sales and 95 per cent of New Brunswick’s. That may be because physical stores allow shoppers to see and smell products, plus receive advice from sales staff. Stores also address customer concerns about online privacy, by accepting cash and not recording personal information. The preference for stores, when combined with their relative availability, partly explains the differences among province’s sales. New Brunswick’s shops were plentiful, with one per 39,000 people. It had correspondingly good sales of $6.87 per resident in October-November, with only about $0.31 of that online. Quebec’s stores by contrast were rarer, at one per 699,000 people. Relative to New Brunswick, its per capita sales were lower overall at $2.53. But the online portion was higher at around $0.51. With no stores, Ontario’s $1.54 sales per resident were lower than the overall numbers of the other two provinces. But that was higher than their online ones. Naturally, other factors contributed to inter-provincial differences. PEI for instance had slightly fewer stores than New Brunswick, one per 51,000 people, yet higher total per capita sales of $13.83. It credited that success to having fewer product shortages than other provinces did. Nonetheless, this interprovincial sales comparison is informative. It suggests legal shops’ absence pushes some cannabis buyers online, but far more toward black markets. That should inspire provinces with few existing stores to open more, once cannabis supplies allow. Ontario especially should follow Alberta’s lead by reopening its licensing process. For example, it could let cannabis producers open their farmgate outlets. Being independently supplied, they’d avoid any logistics bottlenecks or costs. The province should do something to supplement its slowing online-only sales. After the initial 100,000-order burst on Oct. 17, it averaged about 5,200 orders daily for the rest of October. That slipped to around 3,200 per day by mid-November and 2,700 in December. By comparison, Quebec, New Brunswick, and PEI apparently maintained or increased sales from November to December. Finally, Ontario’s 25 lottery-licence winners should note the other provinces’ varying per-store turnover. New Brunswick’s outlets averaged only $410,000 of quarterly sales each. But PEI’s hit $1.1 million and Quebec’s boasted $2.7 million, despite product shortages. Those are heady numbers.